My next show will be Japanorama, a brand new event at the National Space Centre in Leicester on the weekend of 4-5 May. 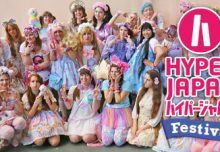 It’s all about Japanese pop culture, with manga, cosplay, martial arts, Japanese film screenings, workshops, food and music! 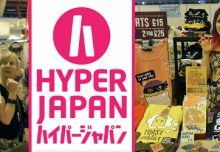 I’ll be in the Tokyo Main Street, a mini market with other stalls including Gundam Mad, Artbox, United Publications and Otaku.co.uk. I’ll have all the t-shirts, my sushi comics, art prints and hopefully a couple of new things too…! If you come along in cosplay you’ll have a chance of winning over £500 in prizes, including a Cakes with Faces t-shirt of your choice and a How to Make Sushi gift set. There’ll be a stage programme including my favourite, Beckii Cruel, and also her super cute UK jpop group Oishii Ichigo! The event will be open 10am-5pm each day. You can also look round the exhibits at the space centre – I’ve been once as a visitor and it was really fascinating – especially the section about astronauts and how they live! I’m hoping to have a quick look round again during the weekend…. Entry to Japanorama is included in the normal day ticket to the space centre. If you buy your ticket online in advance, it’s upgraded to an annual pass for free, so you can also go back whenever you want during the year! Adults are £13, ages 5-16 and concessions (including students) are £11 and under 5s are free. You can buy them online on the National Space Centre website.